SPOILER-FREE! End of the world or not, can you ever really trust a guy who builds a bunker under his farmhouse? That is the question that 10 Cloverfield Lane poses as it draws us into its suffocatingly dramatic web. Why is John Goodman getting early Oscar chatter about his performance? 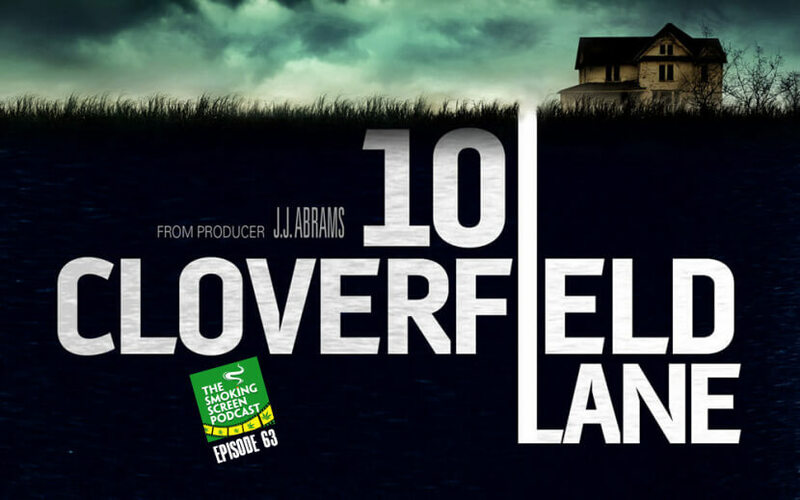 Why does producer J.J. Abrams mean when he says that the film is a “blood relative” of the original Cloverfield? We answer all of these questions and more in episode 63 of The Smoking Screen Podcast. Come join the circle!